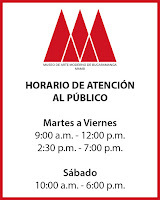 MUSEO DE ARTE MODERNO DE BUCARAMANGA-MAMB: INVITACIÓN DUETO DE SAXOFÓN Y PIANO. JUEVES 14 DE AGOSTO. FESTIVAL INTERNACIONAL DE PIANO UIS. INVITACIÓN DUETO DE SAXOFÓN Y PIANO. JUEVES 14 DE AGOSTO. FESTIVAL INTERNACIONAL DE PIANO UIS.